The CSP has announced everything is ready for this festival focusing on harmony which has helped propel the consolidation of San Pancho as the Cultural Capital of the Riviera Nayarit and the first cultural beach destination in Mexico. 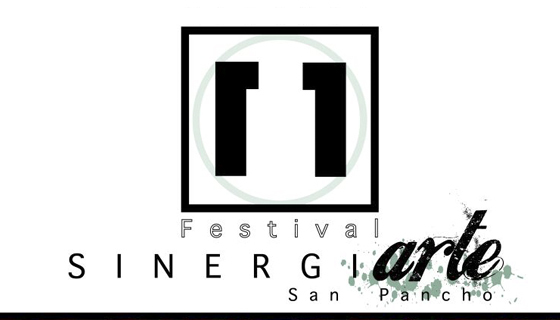 The San Pancho Collective (CSP, by its acronym in Spanish), an open group of people interested in artistic and cultural expression as well as the rescue and fair appreciation of traditions, education, the community and the environment is celebrating its 11 years of existence and its 2016 Sinergiarte Festival. The spirit of collaboration is once again in evidence in this local festival where the community gets organized and voluntarily lends its support to continue to propel San Pancho in its consolidation as the Cultural Capital of the Riviera Nayarit, the first cultural beach destination in the country. The Plaza del Sol, or the square, as it’s traditionally known, will be the focal point for this festival of lights, colors, aromas, tastes, magic, music and community from sunset on December 28 until the evening of the 30th of December. The attendees will be able to enjoy excellent international-quality shows and all the welcoming family friendly-atmosphere and local flavor for free. Music, theater, circus, magic, clowns, painting, photography, sculpture, installations, video, martial arts, equestrian arts with dancing horses, indigenous art, arts and crafts, gastronomy, expos of work done by local organizations, workshops and tournaments featuring the top local sports, including the traditional torch and a spectacular inaugural parade will all bring this celebration of the unity of diversity to life. For more information contact the Organizing Committee at 322 168 6241 or email colectivosanpancho@gmail.com.